Stepping into the new season isn’t always about shopping the top trends and walking into winter in a blaze of AW17’s sequins, checks, slogan tees and top-to-toe red. Our wardrobe essentials aren’t necessarily our most exciting buys of the season but they are the building blocks upon which those must-haves will rest, the glue that holds your outfits together, so to speak. These are the wardrobe builders, pieces that won’t go out of fashion but rather take you through season after season, switched and swapped but staying relevant as the trends change around them. Blazers are big business this season but this wardrobe builder will go way beyond the boardroom. It’s a case of quality over quantity when it comes to blazers. Shun this season’s Prince of Wales check, slightly oversize 80s inspired versions and opt for something more classic instead. A black blazer can smarten an outfit instantly. Take tea dresses to the office and add some masculinity to your favourite winter florals. Big up your business acumen at that big interview or knock em dead slung over a silk camisole at the bar. Cashmere or exquisite quality wool; a crew neck fine-knit sweater will be your best friend during this transitional period when chunky cable knits are too heavy for the in-between weather. Cosy yet smart, the fine-knit sweater is loved by fashion maven Victoria Beckham, who rarely makes it through an international fashion week without being seen in one. Feather light knits layer well beneath the aforementioned blazer; add black cropped trousers and a court shoe for work. Fine knits will also pair down silk midi skirts and heels for dinner dates and enable you to adopt the nonchalant Parisian uniform of Emmanuel Alt once you add your Jacob Cohen denim and this season’s pointed boots. In a beautiful fluid fabric by the likes of ESCADA or MaxMara, the white shirt is a necessity. A humble hero that can form the base for a myriad of outfits, even the simplest of shirt styles can have huge impact when worn right. Olivia Palermo and Angelina Jolie are two of the white shirt’s biggest fans, each wearing the style staple in a fresh way. Palermo favours a preppy approach and you can follow her lead by buttoning your shirt right up to the collar and finishing with a statement necklace worn on the outside. Jolie’s more mature take on the white shirt is worn with a leather pencil skirt or immaculately tailored black trousers, always cropped at the ankle and worn with a heel. Simple, smart and sophisticated; black pumps like the Michael Kors Hamilton Heel are the crowning glory of any shoe collection. The black pump is the pair you’ll reach for most, for days in the office and nights on the town, plus every occasion in between. No wardrobe should be without them. Say ‘no’ to it bags if you’re building the foundations of a wear-forever wardrobe. Designer bags are always worth investing in – a recent investigation found that some hold their money better than gold – but it’s important to see the timeless through the trends. 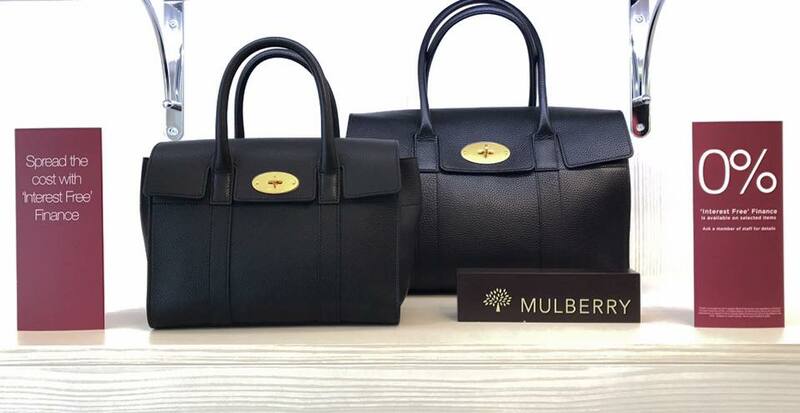 The Mulberry Bayswater is a true icon. Importantly, it isn’t just a truly gorgeous looking tote bag but is also practical too, big enough for all those bits that get you through daily life, from your laptop for work to bits for the baby and the kids’ iPads. Invest in your wardrobe builders this season. Visit Robinsons today to shop the pieces you will turn to time and time again. Find us at DN10 6JH, where we are open 7 days a week with FREE parking available.